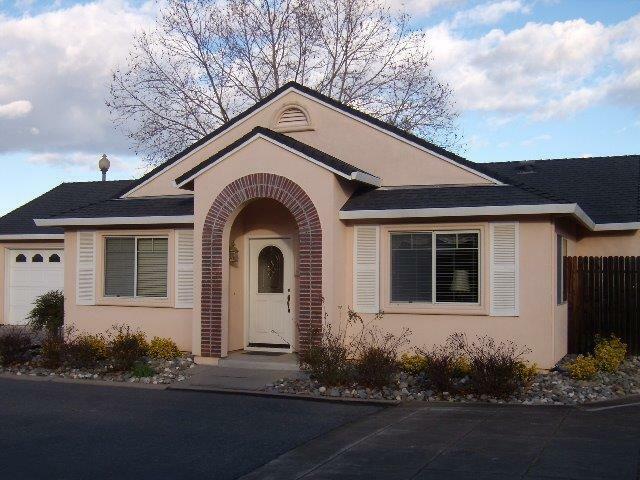 Beautiful Guttridge built home in gated/adult Emerald Village (age restricted 55+). 2 bedrooms, 2 bathrooms. Master bath has a stall shower and walk-in closet, hall bath has tub with shower. Open floor plan (A Model) 2 car garage, inside laundry room with cabinets and sink. Small back yard with covered patio. Garage is full of cabinets and a work bench for the handyman. Beautiful clubhouse, pool, spa, exercise room and much more. Great location near RV parking area. Within walking to stores, banks, restaurants. This is a must see home.